Tax legal issues are daunting especially if you are facing criminal charges due to improper returns, fraud, concealing assets or auditing. A tax law firm will help you with the criminal matters that might result from violating tax law. Whenever you face a legal issue with your accountant, the tax law firm may be able to assist you with this matter as well. Consulting with tax law firms before filing returns and having these documents reviewed will also be an invaluable service to those that anticipate potential legal issues. Tax law firms may incorporate other aspects of the law related to taxation, including but not limited to corporate incorporation laws, real estate and title transfer and intellectual property law. many aspects of business law can be fulfilled by working with the tax law firm on your legal issue. You can find a tax law firm through your state or local bar association. To do so, check the public directory of tax law firms in your state. Some must not all states will provide this directory as a view-able, searchable system for the public. States that do not offer this are likely to have a lawyer referral service that is verified or run by the state. This service, which may or may not be free may also function as an information service that will provide the information you need for free. How do I know if the tax law firm is legitimate? In states with integrated bar associations, you will be able to verify the good standing of the members of a tax law firm with relative ease. Members in good standing will abide by the standards of professional and ethical conduct expected of all lawyers in the state. Many states will also have disciplinary records that will reflect wrongdoing and verified complaints against tax law firms. Note that fee disputes are generally not ethical matters, unless there is clear fraud or exploitation by the tax law firm. The penalty for this offense is lengthy suspension and possible disbarment. If you are dealing with a sensitive tax issue, one with criminal implications, the tax law firm’s communication policy will be of note to you. You should determine if the tax law firm will charge you for communication with the office. Some offices will assess fees for answering phone and/or emails. Knowing this in advance may affect your decision to choose that tax law firm. Additionally, you should note who you should contact with questions about your case and the frequency you will be expected to meet with the tax law firm about the case. What do I do if I have a complaint about a tax law firm? If you have a complaint about your tax law firm you will usually have to file a grievance with the state bar or regulatory organization for lawyers. Some states will have these responsibilities in the same organization, which others such as Illinois have a separate organization, usually attached to the State Supreme Court for attorney discipline. Fee disputes are usually handled by a mediation service through a state sanctioned body. If the dispute is merely a misunderstanding or failure to communicate, then a disciplinary record will not be created against the member of the tax law firm and the mediation body will decide if the client was given proper notice about the fees, in addition to evaluating the fairness of the fee. Severe billing offenses will open a disciplinary case. It is important to report tax law firms that have engaged in intimidation, fraud or other wrongdoing. In doing so, you ensure that other clients are not victimized in the future. What are the typical rates of a tax law firm? Always get the fee arrangement in writing so you anticipate the costs and time when you will be billed for legal services. Work with the tax law firm to find a billing arrangement that suits your needs. Expect to be billed at an hourly rate for legal services. The rate is usually quoted by the hour or half hour and may include phone calls. You reserve the right to be informed if the hourly rate changes during your case or if the rate differs based on the service you are receiving from the tax law firm. For you convenience, you may be billed via retainer. The retainer is a trust account that is refilled by the client and billed by the tax law firm as services are provided. This means that both hourly and flat rate fees are assessed to this account. Have all fees that might be billed to this account in writing so you can anticipate them accordingly. There will also be flat fees for some functions of the tax law firm. This includes document preparation and revision, case evaluations and fees for the use of office resources. These represent a hidden cost to legal services, so make sure you are informed accordingly to prevent surprises. You may be charged court fees during your tax issue. 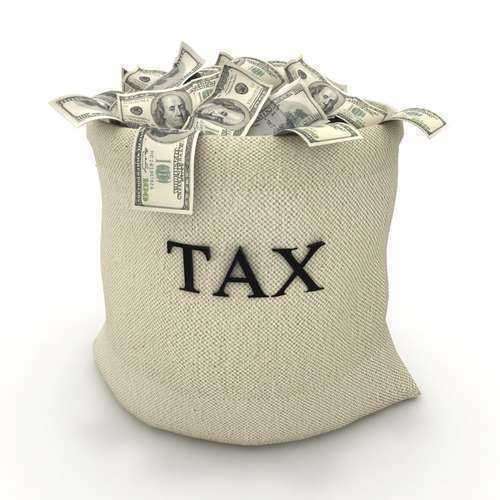 Court fees are independent of the tax law firm and represent the cost to file a case related to a tax issue. Court fees are fixed and can be researched at the applicable state tax or revenue office. What are questions to ask the tax law firm? Will state law affect my case or is this a federal taxation matter? Will I face criminal penalties for this tax issue? Can you provide me with a written billing arrangement that describes all the fees I will pay now and possibly later on?